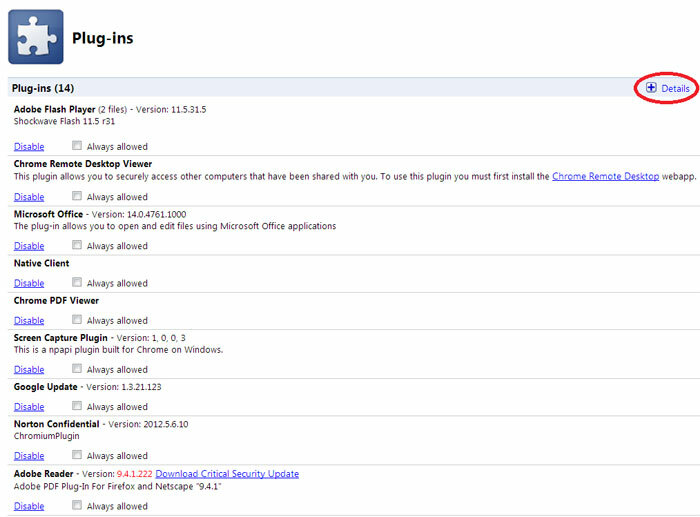 To open Chrome's plugin manager, go to chrome://plugins in your address bar. 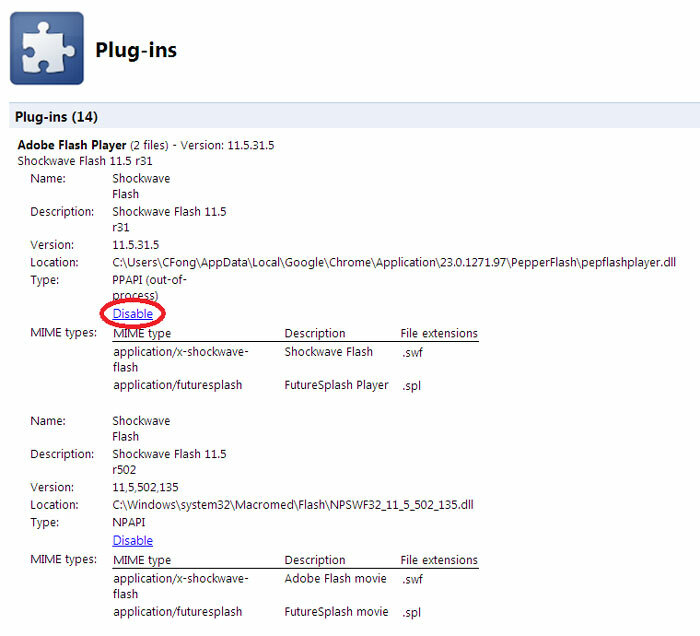 Click on ‘[+] DETAILS’ to view all installed versions of the Flash plugin. Under Adobe Flash Player, find Type: PPAPI (out-of-process) and click ‘DISABLE’ below it.